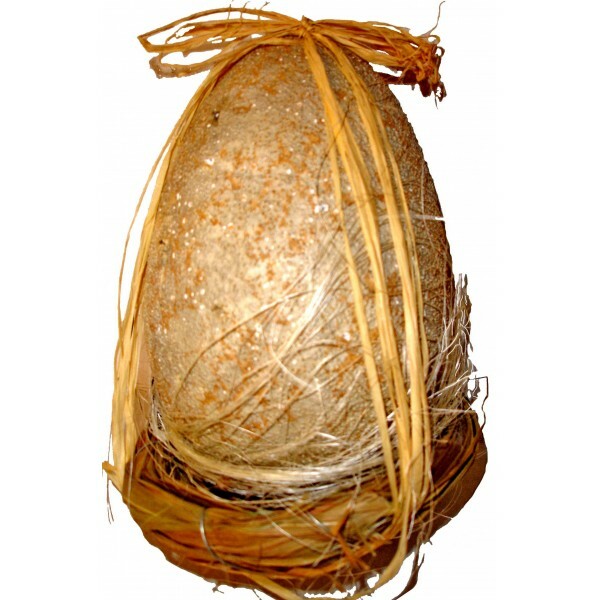 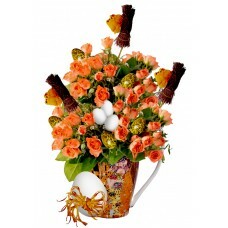 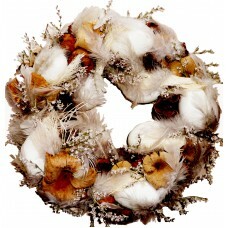 Greet your loved ones by ordering a basket of rich Easter decoration and potted flowers. 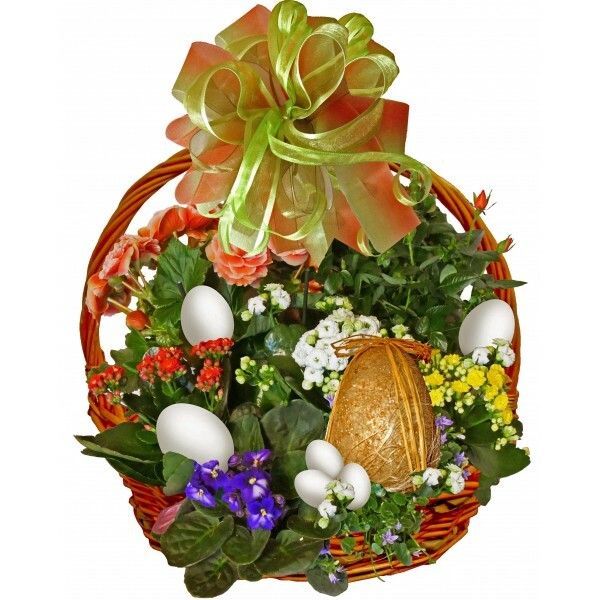 Greet your loved ones by ordering a basket of potted flowers: begonia, mini rose, different colors kalanchoe, room violet and rich Easter decoration. 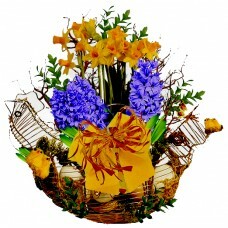 When the original flowers are not available, we reserve the right to replace them with similar flowers at the same price.